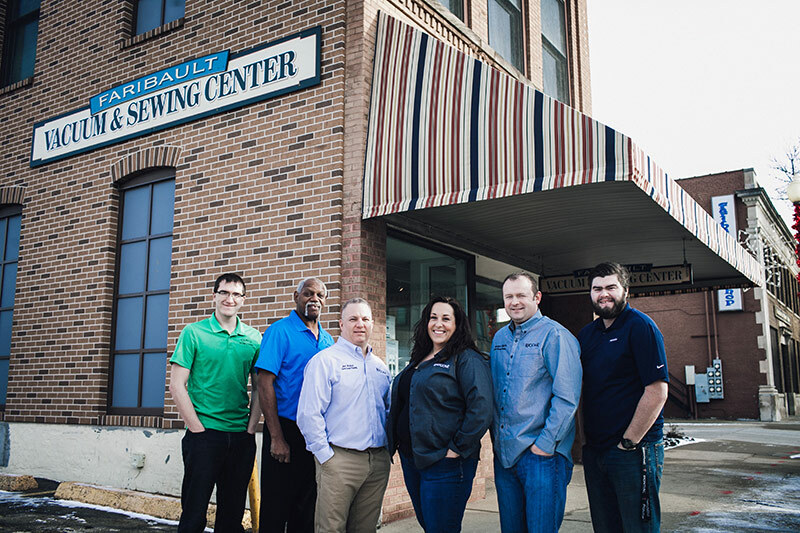 Faribault Vacuum & Sewing Repair – The best price, service and selection. We offer the best price, service and selection. Serving the vacuum and sewing repair needs of southern MN for over 35 years. 31 DAY PRICE MATCH GUARANTEE! Online price matching and best pricing on parts and service. All the best, brand name vacuum cleaners and sewing machines under one roof. Also in stock parts and expert service. We repair all brands of vacuums including Hoover, Eureka, Dyson, Dirt Devil, Electrolux, Rainbow, Filter Queen, Shark, Simplicity, Kirby, Oreck, Beam, Riccar, Miele, Nu Tone and Bissell. Our experienced technicians offer fast and friendly vacuum service that will leave you smiling every time. Our Faribault location offers a wide range of sewing machines and sergers for all your sewing, quilting, embroidery, and crafting needs. We also offer service and repair to keep your machine running in tip-top shape. Fantastic customer experience! They did a great job explaining the functions and features of our new vacuum and we’re extremely excited with our purchase. I would strongly recommend Faribault Vacuum and Sewing. Excellent knowledge. Patient during decision making. Variety of needs. Stock supplies for refills, extras, etc. Friendly. Helpful.